LB100 top-30 firms Taylor Wessing, Holman Fenwick Willan (HFW) and Dentons have all announced their Spring partner promotions covering the UK and beyond. For Taylor Wessing, it is an increased UK round compared to last year when just one lawyer was made up to its London partnership. This year, the firm has promoted three lawyers to its partnership, with a further five being made up to senior counsel. Among those being promoted is Katie Chandler, a dispute resolution lawyer who joined Taylor Wessing as a trainee in 2005. Chandler acts for clients spanning the retail, technology and life sciences sectors. Lerika Jourbet, who joined Taylor Wessing from Slaughter and May in 2013, has been promoted into the firm’s banking and finance practice. Edward Story, another Taylor Wessing lifer, has been elevated to partnership in the firm’s corporate division. Despite the growth on last year’s partner promotions, the three elevated this year contrasts with the 16-strong UK round Taylor Wessing unveiled five years ago, although 15 of those came in non-UK offices. Elsewhere, HFW has promoted eight new partners, but with just one in the UK. Alex Kemp, a litigator in the marine sector, is the sole lawyer promoted in London. 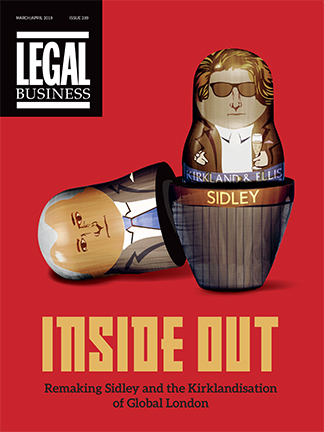 Last year, the firm made up two lawyers in the capital. The remaining seven new partners have been made up internationally, with three in Australia, two in Dubai and one each in Houston and Singapore. Similarly, Dentons has recorded a slump in its London partner promotions, elevating five this year compared to seven in 2017. In a global round that saw the firm promote 36 new partners, Tessa Blank, Simon Elliot, Christopher Graf and Christopher Thomson were made up in London, while Jane Miles was promoted in Milton Keynes. Early signs are mixed for partner promotions generally this year, with Freshfields Bruckhaus Deringer announcing yesterday (4 April) it had promoted a modest five lawyers to its London partnership. However, Linklaters increased the size of its promotions round for the fifth year in a row, adding 27 lawyers to its partnership. Similarly, Slaughter and May saw a dip in the number of promotions, while Hogan Lovells and Pinsent Masons recorded increases. Energy and shipping specialist HFW has made a major play in its longstanding Singapore office, bringing in a trio of partners from rivals in the region. HFW now boasts an 18-partner office in Singapore following the arrivals of finance partner Siri Wennevik, projects and energy partner Alistair Duffield and corporate partner Ivan Chia, taking the firm’s total partner additions in the region to six over the last year. HFW now has over 100 lawyers and 58 partners across its six Asia-Pacific branches. Wennevik joins from Norwegian law firm Wikborg Rein after previously acting as its Singapore managing partner. Wennevik’s practice spans shipping, offshore finance and commercial transactions with a particular focus on asset, project and cross-border financings. Duffield arrives at HFW from White & Case, and was previously Berwin Leighton Paisner’s managing partner for South East Asia as well as co-head of its mining and natural resources group. Duffield, who advises energy and mining companies on M&A transactions, is returning to HFW after previously acting for the firm for eight years from 2003 as head of its mining group. Chia operates in the energy and transport sectors and offers corporate transactional counsel. He joins HFW from fellow energy and shipping specialist Watson Farley & Williams (WFW), who established a new Singapore office in December last year after securing an alliance with local firm Wong Tan & Molly Lim. HFW first opened an office in Singapore in 1990, and added to its presence in South East Asia in November last year through an association with Indonesian practice Rahayu & Partners. In early 2016, HFW entered a formal association with Shanghai outfit Wintell & Co, enabling it to offer domestic law. 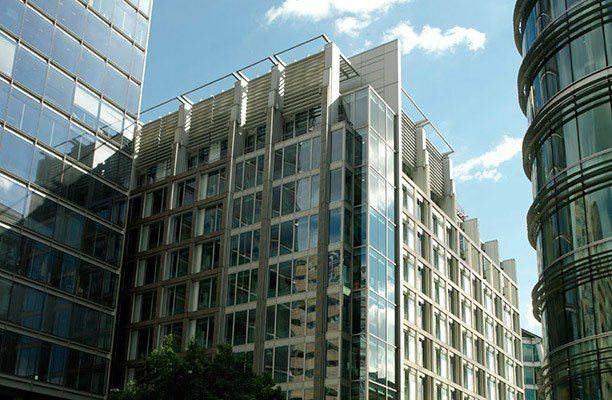 DLA Piper announced today (2 May) that it has promoted 46 to its partnership across the US, EMEA and Asia Pacific, while Holman Fenwick Willan (HFW) made up three to partner in its latest round. The new partners join DLA in 28 offices, across 13 countries. The firm promoted two fewer globally than it did last year, however it only made up four in London, compared to eight promoted in 2016. In London, the firm promoted Chris Chan in real estate, Patrick Mitchell in intellectual property and technology, Edward Shaw in litigation and regulator and Richard Skipper in finance and projects. In the UK, DLA promoted nine, 20% of the overall round, less than the 29% it promoted last year. The firm also made up 17 to partner in the US followed by 12 across continental Europe, four in the United Arab Emirates, two in China and a further two in Australia. Across the firm’s practice groups globally, corporate saw the largest intake of new partners with 10 promotions, followed by litigation and regulatory with nine, finance and projects with seven and employment with five. Intellectual property and technology, real estate and tax each had four promotions, while there were only two in restructuring and one in government affairs. The DLA promotions are effective as of 1 January 2017 in the United States and 1 May 2017 for EMEA and Asia-Pacific. Meanwhile, HFW has elevated its compliance officer for legal practice Gavin Hadfield who is based in London. Before joining HFW in 2014, Hadfield was a risk lawyer at Freshfields Bruckhaus Deringer. London commercial and commodities lawyer Andrew Williams and Brussels based aviation lawyer Stéphanie Golinvaux have also been made up to partner in the latest promotion round. HFW also promoted four to legal director with one in Hong Kong and three in London taking up the position. The promotions went through on April 1. The latest release of firm LLP accounts at Companies House has seen Holman Fenwick Willian drastically reduce pay to its top member, as Fieldfisher has increased its top member pay and given more to its leadership team. Holman Fenwick Willan LLP’s top paid member took home £950,000 for the 2015/16 financial year, a decline from the previous year when the firm’s top paid member earned a robust £3.6m, marking a decrease of 74%. This figure in LLP accounts does not necessarily equate to the highest paid equity partner and can relate to ‘golden handshakes’ to retiring members. The total number of fee earners also rose to 466 from 2014/15’s 444, while the number of members at the firm remained static at 164. Holman Fenwick increased its staff costs to £52.5m from £49.3m and recorded profits of £49.4m for the last financial year, indicating a 12% increase over 2014/15’s profits of £43.4m. According to the accounts, Holman Fenwick borrowed £12.4m during the course of the financial year from banks, down on £10.7m from the previous financial year at a percentage decrease of approximately 14%. The statement also indicated that its total bank overdraft facilities amount to £5.5m. Meanwhile, Fieldfisher recorded a significant upsurge in profit for the financial year 2015/16, and management at the firm benefited, with the members of the firm’s executive committee and supervisory board taking home £9.75m collectively, up from £7.9m the year before. The year’s figure of profit before members’ remuneration is £51.3m, about 20% up on 2014/15’s sum of £43.1m. Increase in profits has coincided with a general growth of the business, as the firm has broadened its number of total staff. The figure for 2015/2016 of 597 fee earners and support staff is a marginal increase over the year before’s 559. As a result, Fieldfisher’s total staff costs have risen by approximately £3m, from £33.3m to £36m. At the top of the company, the highest paid member pocketed £1.2m over the course of the year, however this was a slight decline on last year’s figure of £1.24m. According to the accounts, the firm also slashed its bank overdraft to £1.1m from £5.8m. Despite the downturn in earnings at the top of the pyramid, Fieldfisher has bolstered the number of partners since 2015. There are now 152 members, in comparison to 2015’s 137. Holman Fenwick Willan (HFW) is to gain a US presence by taking over Houston law firm Legge, Farrow, Kimmitt, McGrath & Brown. 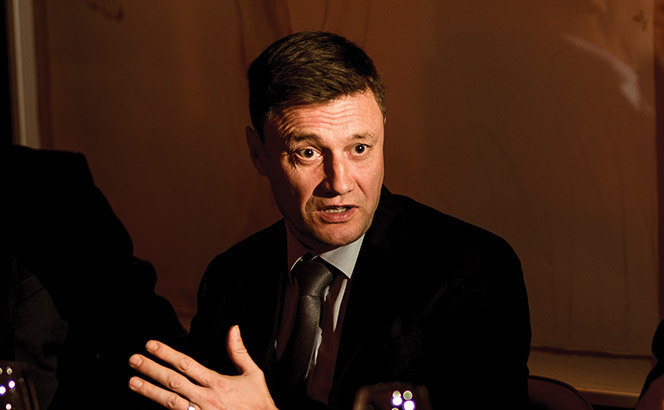 The eight partner litigation firm will join HFW’s 151 partners on January 3. Legge Farrow services energy, marine, insurance, financial, manufacturing, hospitality, health, construction and technology industries and has clients such as BP, AIG and Zurich. The new Houston office will bring HFW’s office count to 15, adding to its offering across Asia, Australia, the Middle East, Europe and South America. HFW’s accounts for the 2015/16 financial year showed that the UK generates more than half its revenue, or about £70m. The firm has been steadily bulking up its offering over the past two years, hiring Herbert Smith Freehills solicitor advocate and partner Christopher Foster in July. HFW also took on Reed Smith corporate partners Giles Beale and James Wilson in December last year, Stephen Marais from rival Ince & Co and energy partners Alexander Reid and Jonathan Martin, who joined from Baker Botts and Fasken Martineau respectively. HFW’s turnover was up by 3% to £141.3m in 2015/16, having risen 27% since 2011. The London headquartered firm posted a 7% increase in profits per equity partner (PEP) to £501,000. Holman Fenwick Willan has recruited another key lateral to its City practice, this time with Herbert Smith Freehills (HSF) solicitor advocate and partner Christopher Foster. Foster is a commercial litigator specialised in contentious insurance and reinsurance matters. He advises on policy drafting (both direct and reinsurance), commutations, portfolio transfers and the insurance aspects of corporate transactions. Major instructions under his belt include advising on losses arising out of California wildfires; the invasion of Kuwait; WorldCom; Exxon Valdez oil spill; Madoff and hurricanes Katrina, Rita, Juliette, Ivan and Wilma. He also advised Graff on its Bond Street robbery, the largest ever UK insurance claim following a gem heist, and HSF’s longstanding client British American Tobacco on its exposure in the US for the pollution of the Lower Fox River in Wisconsin and the Kalamazoo River in Michigan. Other disputes stars to exit HSF in the last twelve months include experienced arbitration partner Matthew Weiniger QC, who departed for Linklaters last summer. The move to build out its offering follows a difficult financial year, with a 15% slide in profits per equity partner (PEP) for the 2014/15 year which saw a 3% drop in revenue from £144m to £139m. The falling numbers marked the end of a steady increase in recent years with turnover up by 2% in 2013/14 and PEP up 5%, while in 2012/13 the firm saw revenue grow to £141m, up from £124m the previous year. With promotions season in full swing, Holman Fenwick Willan (HFW) and City law firm RPC are the latest to announce their numbers, with HFW electing nine new partners to ‘drive international expansion’. Meanwhile, RPC’s new partners include corporate specialist Nigel Collins, who serves as head of the firm’s Japan desk; IP and technology lawyer Ciara Cullen, who focuses on brand protection, licensing and sponsorship arrangements, and construction and engineering lawyer Jonathan Hutt. The promotions take effect on 1 May. RPC operates an all-equity model and has 75 partners and over 300 other lawyers. Other investments in 2016 by RPC – which last year promoted four new partners – include a tie-up with Singapore firm Premier Law as it targets claims against major banks. Other firms to announce promotions in recent weeks include Irwin Mitchell, which appointed six females partners in a 13-strong round; as well as Olswang, which made up two partners firm-wide including one in the City. Nabarro, meanwhile, promoted five partners. Holman Fenwick Willan (HFW) and Simmons & Simmons have made moves to boost their presence in Asia, with HFW entering a formal association with Shanghai firm Wintell & Co, while Simmons expands its financial markets practice in Singapore, hiring Dentons’ former managing partner. Following approval by the Shanghai Justice Bureau, HFW has formalised its partnership with Wintell, which will enable the firm to practice domestic law. Shanghai-based Wintell has more than 20 partners and nearly 100 lawyers across Guangzhou, Tianjin, Ningbo and Zhoushan. The firm specialises in shipping, insurance and corporate law. Meanwhile Simmons has appointed Dentons’ former managing partner of its Singapore office Matthew Cox, to its financial market practice. 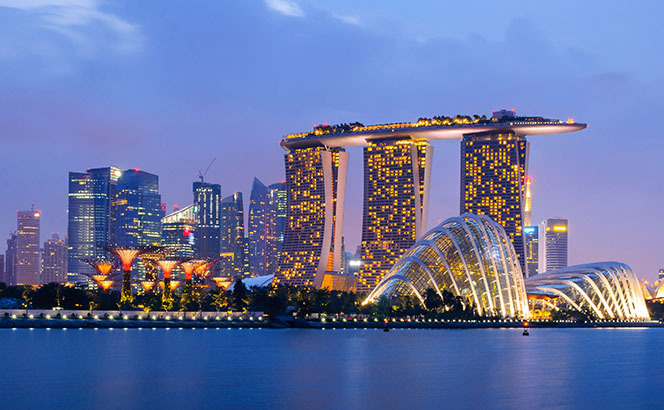 Denton’s Singapore office was closed in early 2015 after the announcement of its combination with one of China’s biggest law firms, Dacheng, which at the time of the pairing formed a 6,600-lawyer giant operating under a Swiss verein structure. With almost 16 years’ experience, Cox has a particular focus on international structured trade and commodity finance and financings into emerging markets. The latest to emerge in a run of recent LLP filings is Holman Fenwick Willan, which has seen its revenue dip 5% to £139m from £145m while operating profit fell by 16% to £49.9m from £59m. The consolidated accounts reveal profit for division among members also decreased by 15% to just under £46m. Spending on salaries rose to £43.4m from £40.2m the previous year while the average number of people employed rose slightly to 769 from 759. Average profit per member dropped from £353,000 to £303,000 while the share of profit allocated to the member with the largest entitlement in the year to 31 March 2015 was £3.6m, from £11.3m in 2014. The firm’s bank overdraft facilities stood at £5.5m and borrowings include a term loan of £7.1m at 31 March 2015 (down from £7.9m in 2014) which is not due until 2023. Holman Fenwick, which has 13 offices including Paris, Hong Kong, Sydney and Sao Paulo, generates more than half its revenue, or about £70m, in the UK. 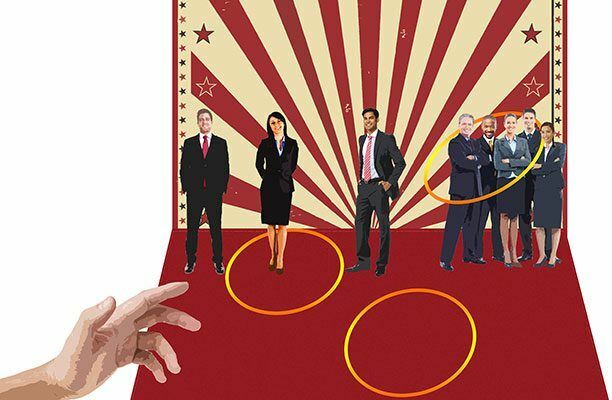 Other recent filings reveal Clifford Chance’s 12-strong executive leadership committee took a pay cut as LLP filings showed the group saw an average 7% decrease in pay this last financial year as the firm’s revenue and profit also fell, while Allen & Overy’s c-suite took home almost 10% more last year off the back of strong revenues.